Baca has seen off a number of international and established firms, and been selected as one of three practices to develop initial plans for a major redevelopment project in Paris, along the River Seine, which will see the creation of 4500 new homes in the capital. Our integrated approach to water and climate-adaptive city design particularly appealed to the Seine Amont Public Development Agency (EPA ORSA), following its international call for competitive proposals in April. EPA ORSA set an ambitious plan for mixed use of the brownfield 37-hectare site, which totals 600,000sq.m net floor area, and is similar in scope, scale and issues to the Thames Estuary project in London. 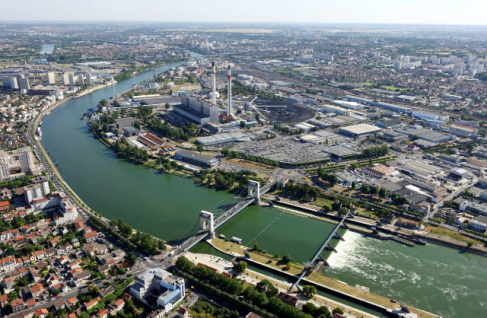 The “Seine-Gare-Vitry” site covers an area stretching from the RER station in Vitry Centre to the banks of the Seine and is one of the largest development projects in the Greater Paris area. Over 60 international architectural practices submitted proposals to EPA ORSA, with just three selected by the jury, including ourselves. (The Seine Amont Public development agency was established in 2007 by 15 partner organisations; and encompasses 12 local towns, the Val-de-Marne County Council, the Ile-de-France Regional Council and the State).